A famous quote says ‘Don’t call it a dream, call it a plan. I am sure all of you must have dreamt to be a scientist or a brilliant teacher having a huge fan following before taking a path of Microbiology as your career. Some of us have also daydreamed in our cell biology class during our graduation about how we are going to make our career big by doing ingenious research in the field of Microbiology. In today’s time, we are lucky to have an amazing amount of opportunities both nationally and internationally to start our research career after post-graduation. But with an ocean of opportunities, we often fear and develop anxiety about which will be the right path and how one should plan to go about it. Worry not!!! Biotecnika will help you to plan your career after your Masters in Microbiology and give you an overview of competitive entrance exams that you can give after MSc Microbiology and harness maximum benefits out of it. CSIR NET Exam Ranks No.1 in the list of 10 Competitive Entrance Exam For Msc Microbiology students. I would call it the king of all the competitive exams that are present in the scientific field in India. If you are in a Life science field, then qualifying CSIR NET is equivalent to having an Aadhaar card for qualifying for a job profile especially in the research and education fields. Every year the exam is conducted twice, one in June and the other one in December. If you qualify the exam, you will be awarded with Junior Research Fellowships (JRF) and/ or with Lectureship (LS). This depends upon the percent marks that you score in the exam. A JRF is awarded with 25000/- fellowship per month for the first 2 years and then with SRF i.e. 28000/- per month for the 3rd and subsequent years and recently the fellowship has also been hiked. CSIR NET is considered a very important exam which is well recognized in all the renowned research institutes of India. Hence ideally to start a reliable and quality career in the field of research and teaching one must aim to qualify CSIR NET in Life-science after their Msc Microbiology. The Graduate Aptitude Test in Engineering (GATE) is an entrance examination that tests one’s subject knowledge and a comprehensive understanding of various undergraduate subjects in science and engineering. It is conducted once every year (mostly in February) and the conducting institutes are Indian Institute of Science and the 7 IITs. The score is valid for the next 3 years and the candidate qualifying Gate is eligible to apply for PhD in national recognized institutes like IISc and IITs where they can get the best guidance to complete the first major stepping stone in the path of becoming an impeccable scientist. So while you are in your Master’s degree in Microbiology you must start preparing for this exam. It is a shared entrance test for Ph.D. programmes in the field of Biology and interdisciplinary life sciences. Institutes like NCBS, TIFR, IISERs, and IISc are some of the institutes recognize this entrance exam in order to select candidates for Ph.D. admissions. The main motto for coming up with such a test was to reduce the difficulties that students faced while giving multiple entrance tests and also to reduce the duplication of efforts. Although each participatory institute has its own eligibility criteria and admission process, JGEEBILS acts as an important stepping stone in these criteria of selection. Ideally, after qualifying this exam, students should apply separately in the participatory institutes for getting admitted for Ph.D. In order to climb up the career ladder faster be it microbiology related field or any other Life Science field, a Ph.D. degree is a must. ICAR is the managing institute which has come up with this national level exam. It has been held once a year, most commonly in June/August. Postgraduate students from microbiology will get a scholarship of 15000/- per month for first two years and 17500/- per month for the 3rd year. All the national ICAR institutes and other recognized universities recognize this exam and consider it for their project assistantship and Ph.D. positions. This is one of the ideal ways to start as a fresher after MSc Microbiology, gain some experience in the research area of your choice and then plan ahead. ICAR Examinations for 2019 for AIEEA (UG), AIEEA (PG) & AICE-JRF/SRF (PGS) will be conducted 01 July 2019 this year. Click here to Know More Details. The Indian Council of Medical Research (ICMR) in partnership with Postgraduate Institute of Medical Education & Research (PGIMER), Chandigarh conducts an entrance exam at National level for the award of Junior Research Fellowship (JRF). As per revised emoluments, a JRF is entitled to get Rs 25,000/- pm and SRF – Rs 28,000/p pm. Again this exam is ideal for fresh Msc Microbiology pass outs if you are inclined enough towards a successful career in research. Known as the home for education, Pune harbors the renowned Savitribai Phule Pune University (SPPU), formerly known as the University of Pune, which was founded in 1948. The university is home to 70 Research recognized Institutions and 46 academic departments. SPPU conducts its own PET exam for Ph.D. admissions. Though the stipends are not provided still students can clear this exam and get enrolled as a Ph.D. candidate in any funded projects. SPPU is one of the recognized University doing Ph.D. from it will help a microbiologist to succeed in her/his career and guide him/her to become a recognizable scientist. 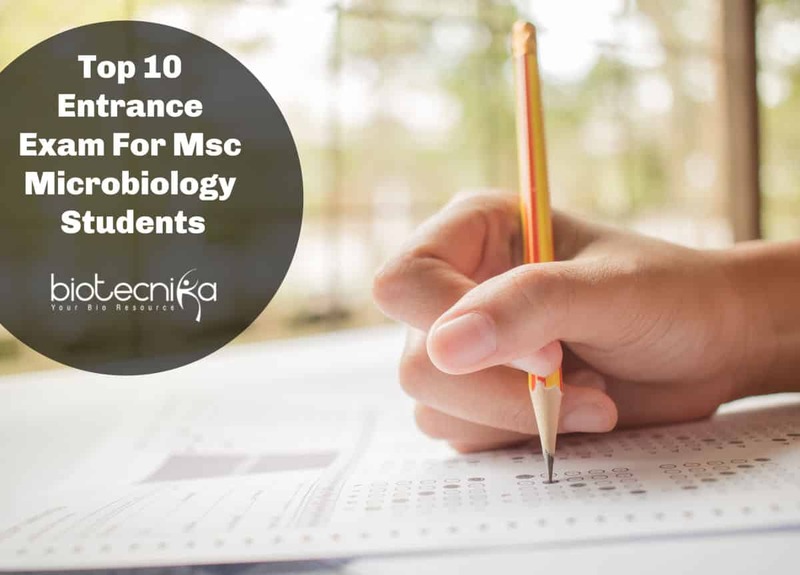 Most of the students know that ARS exam is only for agricultural science candidates which is a myth thus is included in the Top 10 Competitive Entrance Exam List For Msc Microbiology. ARS is charged with exploring and expanding the nation’s scientific knowledge and solving agricultural problems through its four national program areas: food safety, nutrition, quality, and safety sustainable crop production and protection. It’s a part of ICAR and the recruitment to this position will enable one to be positioned at a scientist level. The Graduate Record Examinations is a standardized test that is a part of the admissions requirement for most graduate schools in the United States and Australia. Scores are valid up to 5 years and one can apply for Ph.D. positions at some of the best universities in the U.S, Canada, and Australia. Scores of more than 310 are ideal for getting admissions in good universities. TOEFL test – the leading English-language test for work, study and immigration. TOEFL scores are accepted by more than 900 universities and other institutions in over 100 countries, including Australia, Canada, New Zealand, the U.K., the United States, and all across Europe and Asia. Scores more than 100 are considered to be good enough for the admissions in recognized universities. IELTS– The International English Language Testing System is an English language speaking test accepted by most British, Australian, Canadian, Irish and New Zealand academic institutes and by over 3000 academic institutes in the United States. The BSI conducts an entrance exam once every year for the position of Scientist B. The exam pattern is simple and questions are related to reasoning, technical knowledge, quantitative aptitude, and English literature. This exam gives one of the best opportunities to start a career as a scientist after MSc Microbiology. Though one of the important aspects is that one needs to have a good amount of research experiences before starting your career as a scientist in order to be in a long successful race. DBT announces Biotechnology entrance test (BET) every year which is conducted only once. Junior research fellowship (JRF) is awarded to the candidates who have come in the merit list. Category I fellowship is awarded to top 275 rankers who can register themselves for Ph.D. in Universities or Institutes. Category II fellowships are awarded to the next 100 rankers and these students are eligible to join any DBT sponsored projects and the fellowship will be availed from the project. Wow!! So here we are with a tentative list of 10 Competitive Entrance Exam For Msc Microbiology students. So many opportunities are waiting for you after your post-graduation in the field of microbiology / MSc Microbiology. So, get started and start planning how would you like to design your career after your post-graduation. The best future comes with the best and most reliable choices that you make. Hence make the most out of the choices that are present for you and the earliest the choices are made, the sooner and better you will get started with your research career. NB: The above exams can also be written by candidates with a Masters degree in other Life Science subjects such as Biotech, Biochemistry and many more. Thus while applying for any of the exams enlisted above we request you to go through the official notifications released at Biotecnika website carefully, and apply for the exam keeping in mind how you want to strategize your career, where you want to see yourself in the upcoming 5 years of time. 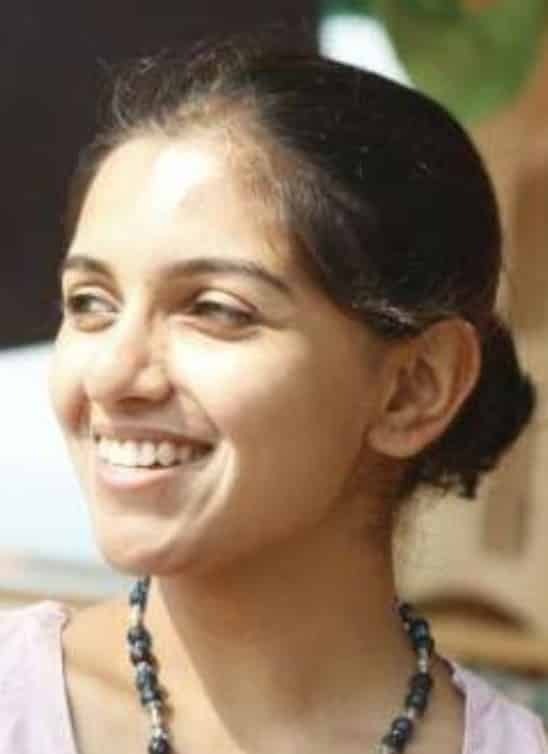 Kajol Patel is one of the most active Research enthusiast working with us. Her active interest in both the field of research & academia inspired her to Pen down the above article. Keywords: Msc Microbiology entrance exams, Entrance exams after MSc Microbiology, Top 10 Entrance exams in Microbiology, Competitive entrance exams to write after MSc Microbiology. Hey! I want to learn more about the BIS Scientist B recruitment exam, the official website where I’ll get the info, the application process and last date for filling application form.